Payday Report is very excited to announce that we have cut a print syndication deal with historic African American owned Chattanooga News Chronicle. Through this partnership, Payday’s reporting will be able to reach 30,000 print readers on a weekly basis in Chattanooga; providing workers in Eastern Tennessee with labor reporting that is sorely missing. Now to reach even more readers, we need your help. Our goal is to spend more time focused on reporting and less on fundraising. In coming months, Payday hopes to create more print partnerships with small newspapers and magazines as well as online publishers throughout the South. We hope to raise $5,000 to help us meet our budget for the next 3 months. (Donate to our Indegogo fund here). Your contribution of twenty bucks today or what you can afford will be an excellent help us get out the story of workers organizing across the South. The fastest-growing region in the United States for union membership is the South, where nearly 150,000 workers opted to join unions last year. As veterans of the digital media unionization, we know that if unionization in digital media has proved one thing, it is that coverage of workers unionizing leads to even more organizing. There is not a single full-time labor reporter covering the 60 million workers throughout the South. — When six children were killed in a school bus crash in Chattanooga, Payday was the first outlet to report on the school bus company’s long track record of worker intimidation and safety violations. – -Payday Report was the first outlet to expose how the political spending of Alliance Resources Partner CEO Joe Craft was leading to refusal of Senate Majority Leader Mitch McConnell to bring the MIner’s Relief Act. Eventually, our reporting was picked up by other outlets, contributing to the public pressure on McConnell to do something to protect the retirement of 125,000 retired miners and their beneficiaries. 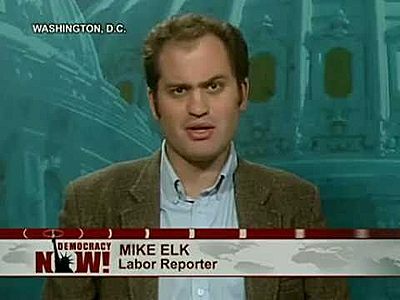 — For over three years, Payday Senior Labor Reporter Mike Elk has been covering attempts to unionize at Volkswsagen’s factory in Chattanooga, Tennessee. This year, we exposed how Volkswagen had intimidated workers against speaking up during the company’s emission scandal, which saw one of the biggest recalls in American history. — Finally, Payday Report’s weekly newsletter, The Lunch Pail, has filled a vital hole in coverage by providing an overview of all the major victories and losses for organized labor throughout the South. This coming winter, we hope to do a lot more. We hope to cover the “right-to-work” fight in Kentucky, the coming union election at Boeing in South Carolina, the growing movement of striking construction workers across the South as well continuing our coverage of the stubborn attempt unionizes at Volkswagen in Chattanooga. To help us expand continue our coverage, we are asking our readers to contribute to our unique winter fund of $5,000. Also, please consider becoming a monthly recurring donor for as little as $3 a month (sign up here to donate monthly). So thanks for all of our help and happy holidays. Be the first to comment on "Payday Cuts Print Syndication Deal – Donate to Help Us Reach More"